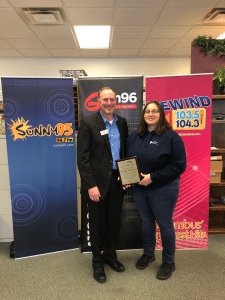 Congratulations to our January Hometown Hero Mirada Moreland. Mirada goes above and beyond in her community. From running a home health care company for individuals with developmental disabilities to sponsoring her town’s school system and their field trips, she is a true leader and mentor. Congratulations Mirada and thank you for your positive impact you have on our community!